2 Hours of Complimentary Specialty Cocktails, Chic Vibes, & Warm Company. 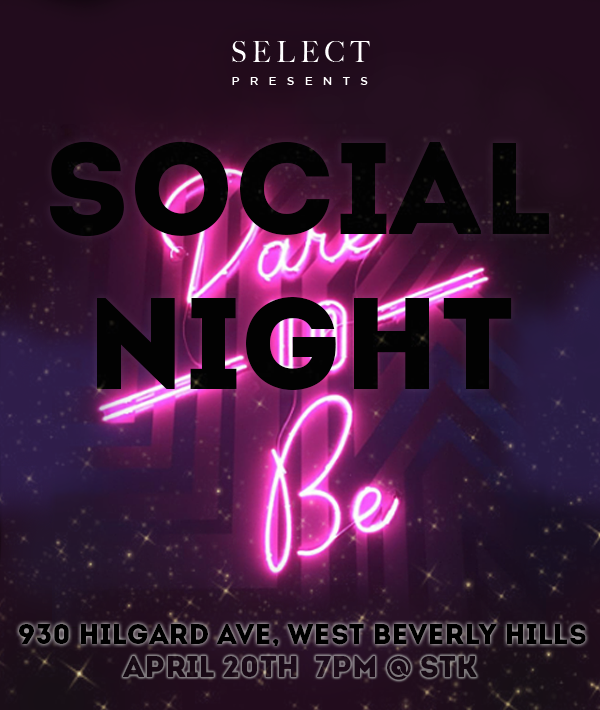 Join fellow Members and guests for the first LA Social Night on Thursday, April 20th, as we gather at the beautiful STK Los Angeles in West Beverly Hills. Social Nights are designed for Members to mix and mingle while enjoying an assortment from the best in food and drink. This edition will include a two hour open bar, featuring an assortment of complimentary specialty cocktails, chic vibes, and warm company. Come to network, unwind, or just grab a drink or two among friends, as we kick off the weekend early with this intimate event. Click 'RSVP,' and follow the link to attend. This event is complimentary for Members and $10 for their guests.